Location: From Parkland Hwy(16A) take Range Road 262 South. Turn right on Pinchbeck Road to your destination. 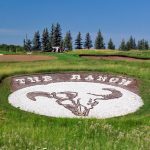 The Ranch is a championship-calibre Edmonton Golf Course that’s proud to have hosted multiple Canadian Tour events. But we recognize that not everyone is a professional golfer. That’s why we believe in providing a friendly and accommodating golf experience, even if you’re just learning the game. At The Ranch, we’ve created a laidback environment where anyone can enjoy the game of golf. 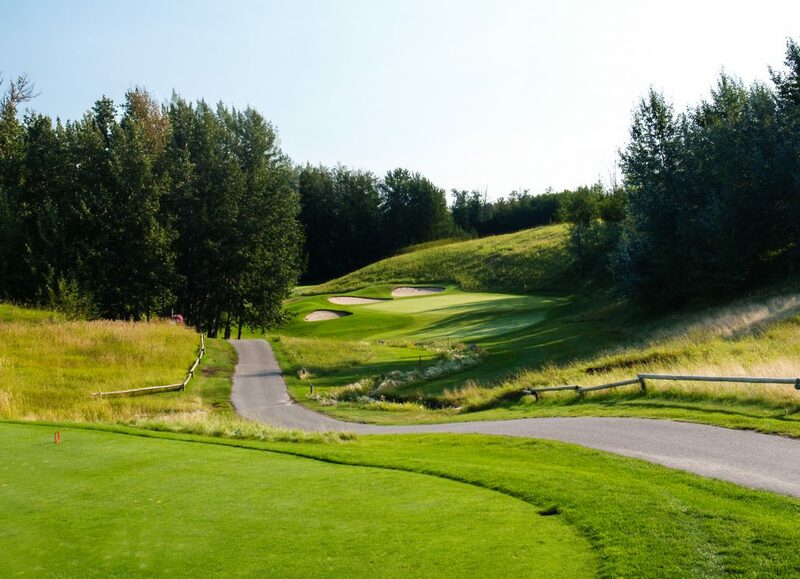 Come get your game on at one of the premier championship-calibre golf courses in Edmonton. We pride ourselves on providing outstanding value to our guests through amazing course conditions, superior customer service, at reasonable prices. The Ranch is your fun, laid back, and accomodating public golf course. 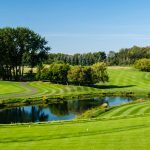 Host a Golf Tournament: As one of Alberta’s top golf tournament courses, The Ranch makes hosting golf tournaments in Edmonton fun and easy for any group or business. No matter how unique or unusual your idea for your next golf tournament, we are ready to accommodate. We also provide sponsorship packages, and corporate branded merchandise to make your guests’ experiences truly one-of-a kind. Our friendly staff will guide you through everything from fundraising to menu selection. Once you book it, we take care of the rest! 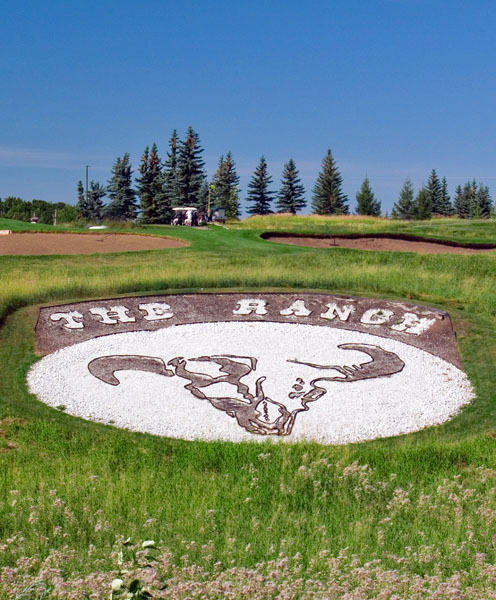 Considering The Ranch Golf & Country Club was once a stop on the Canadian Tour, and could put some hurt on professional golfers, it’s done an about-face in now becoming a place where anyone, and everyone, can play and enjoy their day. Head Professional Shaun Piercey pointed out that while the course, located just west of the Edmonton city limits on Highway 16A, was very penal towards the pros, it has been softened for the general public in order to ensure they have a memorable day while motoring around this scenic rural layout. Opened in 1989, The Ranch is a fun test that runs from a links style into parkland and then tosses in a few trees, along with some other interesting obstacles, to make a round most enjoyable. And best of all, it’s challenging without being over the top tough. With that in mind, the fun starts right off the get-go here, with a tee shot from the top of a hill that has to carry a water hazard down below. Once you’ve cleared that hazard it’s then an uphill shot to the green. The second is a par 5 that lets you air things out a bit, followed by a little uphill par 3 and then a fun, downhill par 4 which, while not long, demands an accurate approach shot into the green. Piercey then pointed out one of the more interesting, unique holes on the course, the fifth, that is another short par 4 but not easy by any stretch. “Number five we nicknamed The Pit Hole. A very memorable hole for people that play here; they get to see how deep that crater is. From what we know, that was naturally there and it makes the hole tough, especially if you get down there,” where the bottom is roughly 100 feet below the green, which slants back to front. 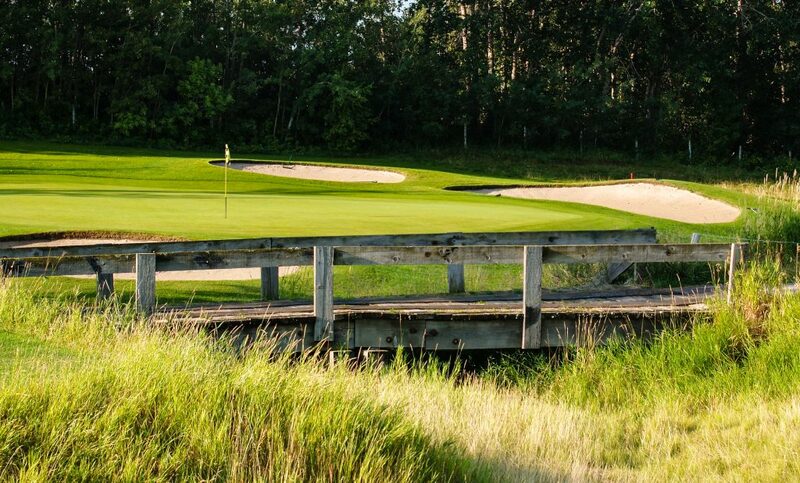 There are some other fun holes out here including the final three on the home stretch, which could be ranked among the toughest finishing holes in the Edmonton golf market. The 16th is a downhill tee shot toward a lake where the landing area beside it is quite narrow; the penultimate hole is a par 3 with the tee shot across the same body of water, and then the home hole is a dandy par 4 with a split fairway around another huge water hazard. While that scenario maybe scares some people, don’t let it keep you from teeing it up at The Ranch. 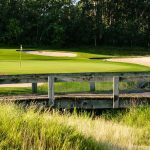 This is a fun track and you can say, when you’re finished, that you’ve played a course where the pros played … although your score may not be comparable to what they carded. The thing is, with a wealth of tee boxes here, anyone can come out and have fun on this course and with a new idea in play, that means anyone. “We’ve taken into account the mood of the public, just dialled it back a bit, to make the course, I wouldn’t say easier but just a little less difficult. What we did was add some beginner tees at the start of our fairways. We had quite a few people play those and enjoy them because they’re ahead of the trouble. “We’re in that mindset right now that the game is struggling to grow and people don’t have a lot of time to play, so we’re trying to do those things that are becoming trends in the industry, that are helping people enjoy the game more,” and that idea starts at The Ranch where the pros once played. This summer will be a great time to take advantage of some special tee time offerings at The Ranch and try out the track if you haven’t already done so. Or, make a long-planned return to this fun golf course. 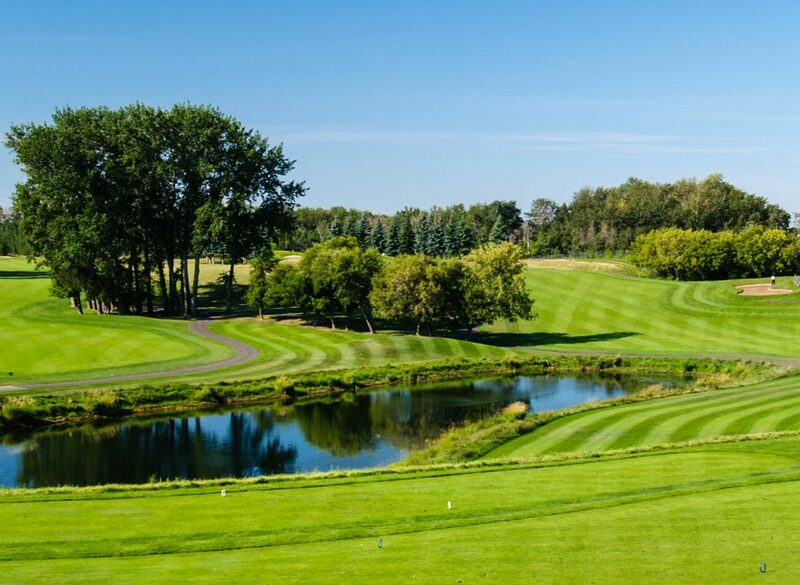 Piercey noted that they’re trying to fill in some slow times, especially during July when festivals take centre stage in Edmonton, so they’ve teamed up with Play Golf Alberta to entice the public to take advantage of some good rates. For online tee time bookings, go to www.playgolfalberta.com.